Conservation status: Nature reserve, Natura 2000 area, 55 ha, established in 1977. 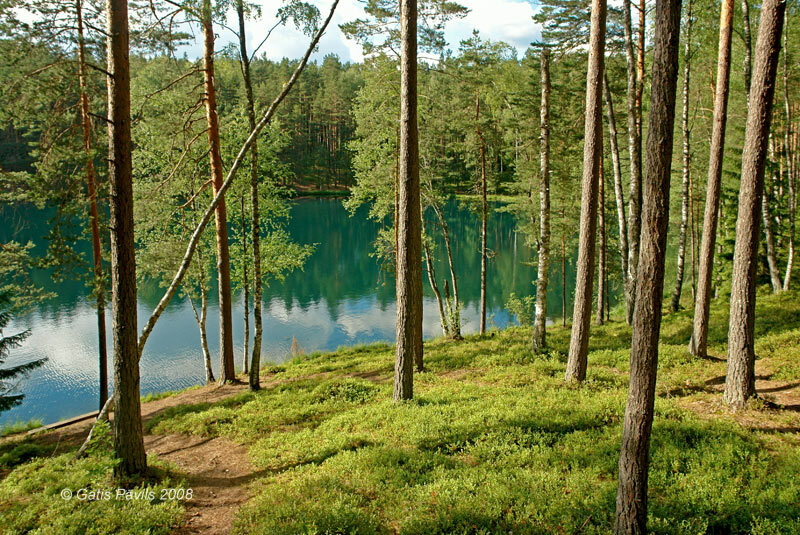 In quiet corner of hilly pine forest there hides one of the most unusual lakes in Latvia - Lake Cortoks. The lake is small - its area is 1,9 hectares - but the depth is significant - it reaches 18,32 metres. 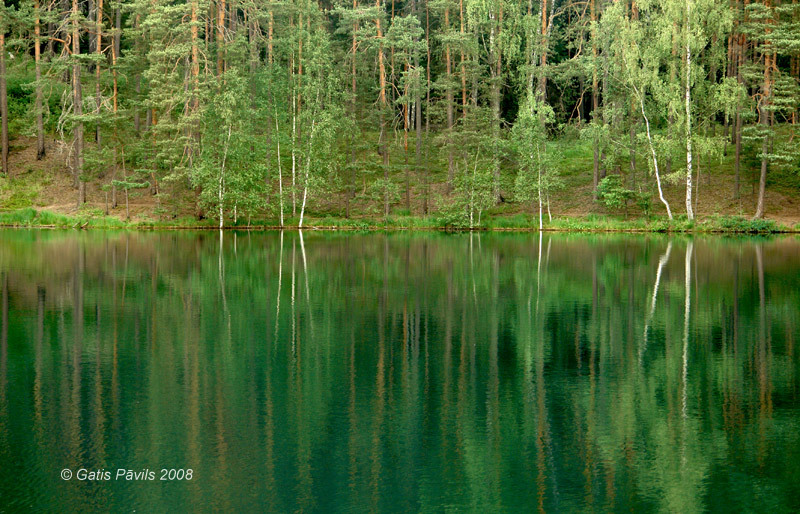 The lake is especially unusual due to greenish-blue color of water rare in Latvian lakes. It is told that the color is changing - the water can have all the tints of rainbow. This unusual feature could be explained with the exceptional lucidity of water (visibility up to the depth of 8 metres), lake has no outlets and is located in a deep funnel-shaped delve with steep descents. If the banks of the lake would be plain, it would be harder to notice and estimate the beautiful color of water. There are very few waterplants and fishes in the lake. There are several stories and legends connected with the lake but in general it does not associate with good things in the memory of people. It is not advised to stay at the lake for a longer time or to swim in it - something bad can happen. 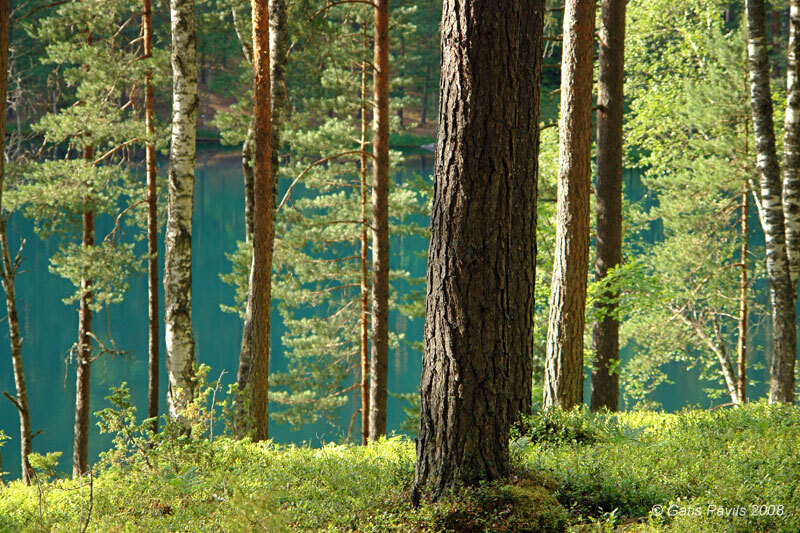 Nature protected area is established here since 1977, lake and restricted area around it is managed by JSC "Latvijas valsts mezi", together with Daugavpils University they have developed a cosy nature trail.